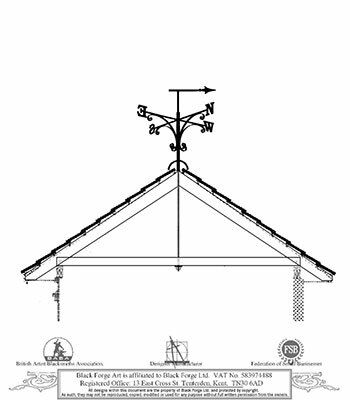 We want to make sure your Weathervane is just right. Either choose an existing design from the selection of our previously made commissions which can be found here. Or, request a modification to one of these designs to personalise it. 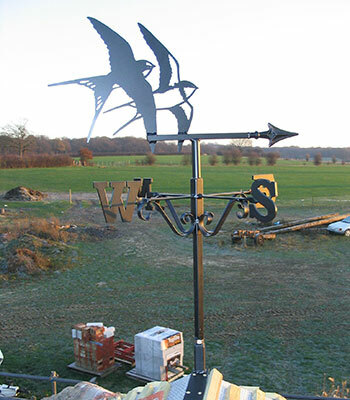 Or, if you would like us to design a completely one-off, bespoke or portrait weathervane, then we regularly work from photographs, sketches and even verbal briefs supplied by you. Click here for more information and examples. Charges may apply for bespoke designs. Please do not hesitate to get in touch if you would like a bespoke cross (I.e. different letters, more scrollwork, or even your own design!) – Charges may apply. We have a range of mounting brackets suitable for all applications. Most popular is our apex bracket – suitable for gable ends, chimneys and walls, or our ridge bracket which mounts onto the ridge timber of your roof underneath the ridge tiles. However, many others are available, please specify your preferred location. Bespoke brackets can be made if any of the below are not suitable. Click on the (i) for more information below each option. Apex – For easy wall, chimney and gable end mounting. 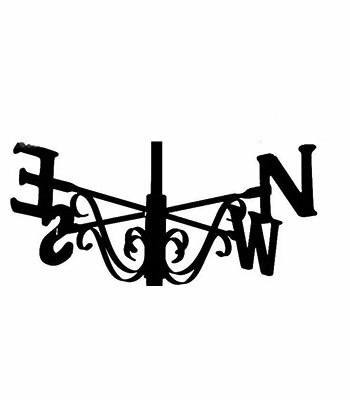 Suitable for the vast majority of orders where the weathervane can be mounting onto a vertical surface. As standard, a 100mm wall clearance (4”) and a 90 degrees pitch angle. Strap pitch/angle and wall clearance can both be modified upon request. Ridge – Solid Angle Iron with mounting holes with welded box section for centre pole attachment. For any ridge timber fixing, ideal for new builds, or installation anywhere along the length of your ridge. Horizontal – For mounting onto a flat surface. Strap – For post or vertical surface. Extended Centre Pole – For mounting through a turret or cupola and fixed to horizontal support beam. All our weathervanes are individually handmade to order by skilled craftsmen and blacksmiths in our own forge. They are fabricated from top quality steel (iron), tig welded and finished to the highest of standards. 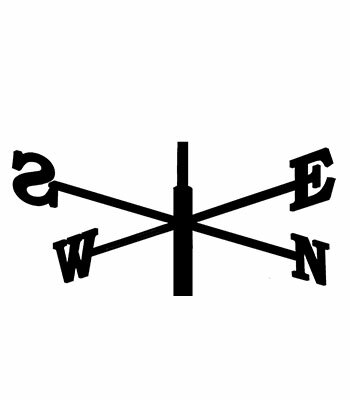 All weathervanes revolve around a weatherproof pin and ball bearing. We do not cut corners. Once fabricated, the entire assembly is degreased, shot blasted and galvanised (zinc plated). This is followed by a thick coat of polyester powder, electrostatically applied to the weathervane which is then baked on in our industrial ovens (I.e. powder coated).This combination of coatings will ensure many maintenance free years. Below prices include the full assembly. (Design welded atop arrow, NSEW cross of your choice and mounting bracket of your choice). 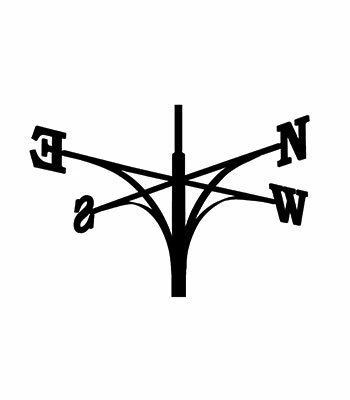 Sizes refer to the width of the arrow and similarly the NSEW cross. For larger and specified sizes then please contact us. Standard shed size. Stainless Steel. Standard garage size. Stainless Steel. Standard Single Storey / Double garage size. Stainless steel. Standard Two Storey House / Small barn size. Stainless steel. Standard Large House / Barn size. Stainless steel. For a completely bespoke design (Click here for more information on bespoke commissions) - Usually £83.33 + vat. (£100.00 inc.) (Subject to approval). The combination of increasing demand and our ‘individually made to order’ approach (especially with one-off commissions) can lead to a several month wait. However, lead times for any previously commissioned design are substantially less, we also will work to meet special deadlines such as Christmas, Birthdays, Anniversaries, etc. Please contact us and let us know. Upon confirmation of we ask for a £100 deposit on all orders. 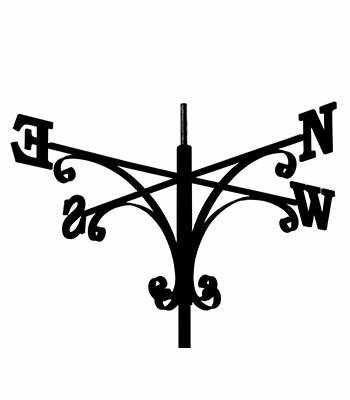 Following which we will design (if required), manufacture, galvanise (not required for stainless steel weathervanes), powder coat satin black your weathervane and have it ready for delivery. 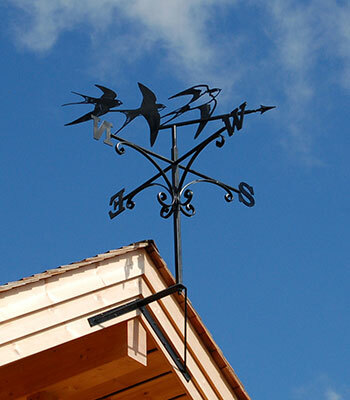 We will then send you a photograph of your finished weathervane for your approval prior to the balance being due. 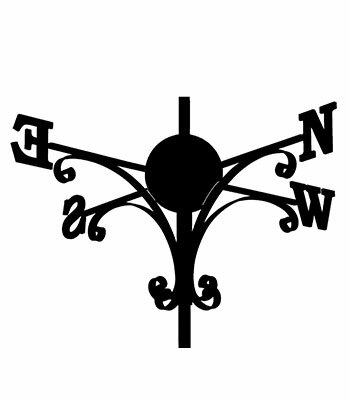 Contact us now to get the ball rolling with your weathervane. We look forward to hearing from you.